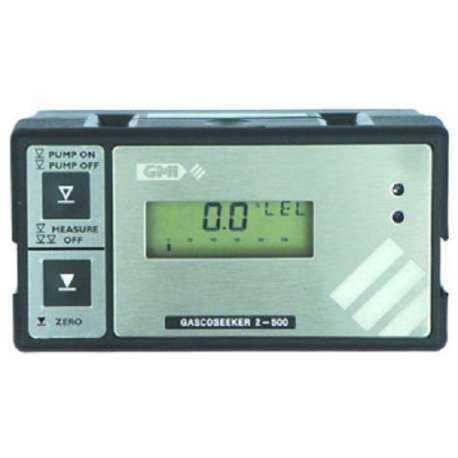 The GMI gascoseeker 2–500 is a highly accurate and reliable while at the same time low cost gas detection instrument which features an integral pump with flowpath protected by a water filter. This unit is designed for measuring percentage LEL and percentage volume flammable hydrocarbon gases and has automatic range selection. It features two button operation so the user can access all features simply. It is housed in a rugged carbon loaded polypropylene case and is fully IP54 compliant in terms of its seals so it is suited to outdoor use. 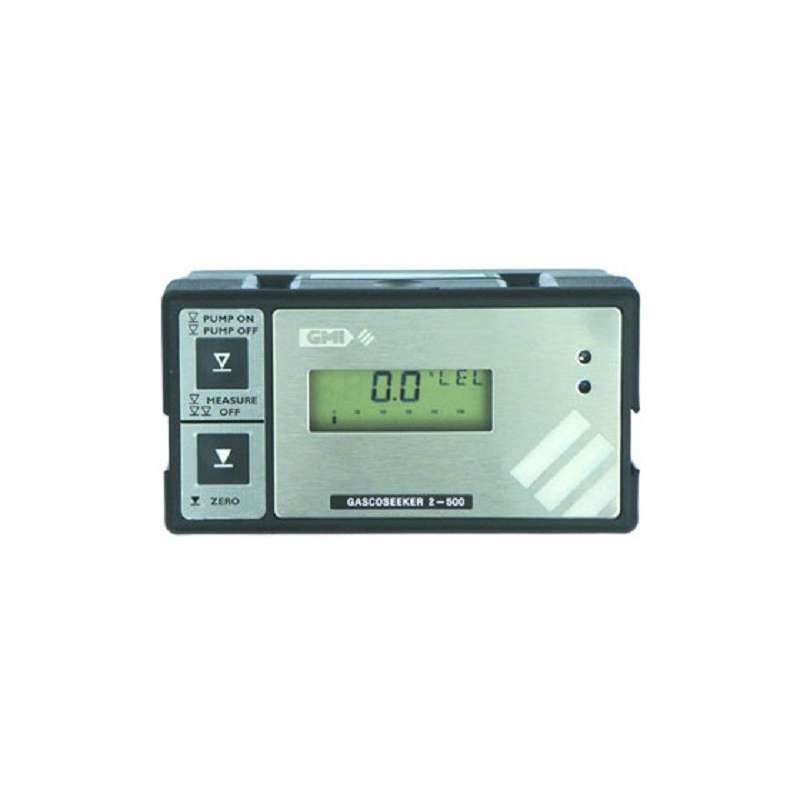 Its backlit LCD display allows you to monitor gas readings in both analogue and digital format along with status and operational information. The four digit digital display has a three character range indication as well as operational flags. Fully ATEX approved, this unit can be calibrated and checked via infrared link to a GMI auto test calibration unit without the need to open up the instrument. Weighing in at just 1.7kg, the GMI gascoseeker's dimensions are 180mm x 95mm x 105mm. This unit can be powered by four size D alkaline cells or a rechargeable NiCd battery pack which will run continuously for about 8 hours or 15 hours for the non rechargeable cells.